But our enemies know very well what Israel is capable of doing. They are familiar with our policy. Whoever tries to hurt us—we hurt them. 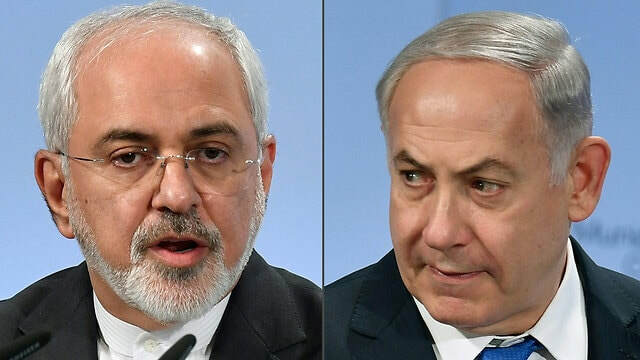 Iran's Minister of Foreign Affairs‏, Mohammad Javad Zarif, slammed Prime Minister Benjamin Netanyahu Wednesday, calling him a "warmonger," in reference to the prime minister's remarks during his speech at the Negev Nuclear Research Center. 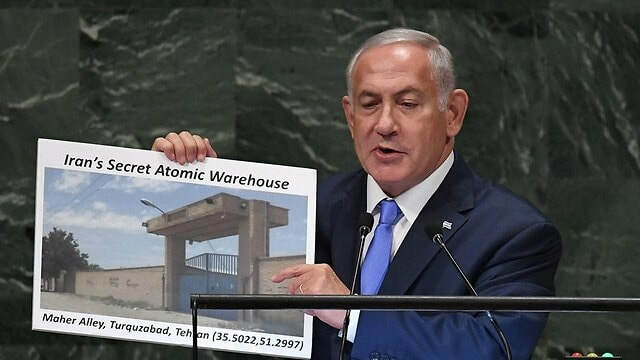 "Iran, a country without nuclear weapons, is threatened with atomic annihilation by a warmonger standing next to an actual nuclear weapons factory. Beyond shameless is the gall," Zarif tweeted. Earlier on Wednesday, during a ceremony to rename the Negev Nuclear Research Center after the late Israeli statesman Shimon Peres, Netanyahu warned the country's enemies that Israel has the means to destroy them. "Those who threaten to wipe Israel out, put themselves in a similar danger, and in any event will not achieve their goal." 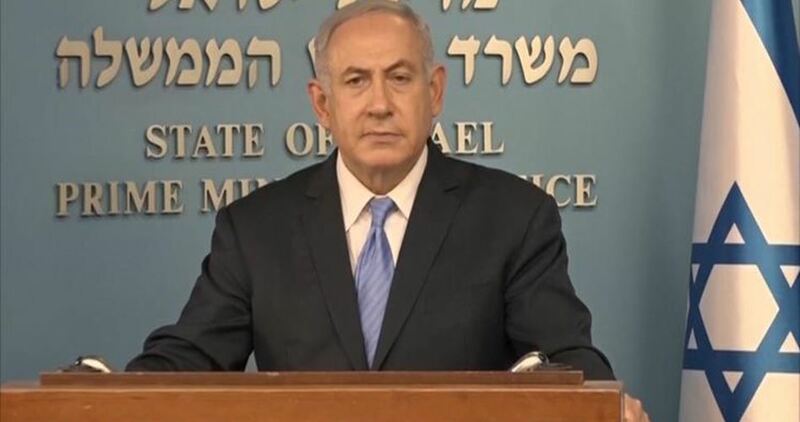 "Our enemies know very well what Israel is capable of, they know our policy, and anyone who tries to harm us—we will harm them," the prime minister added. Netanyahu stressed the necessity for Israel to stand strong in the face of its enemies. "In the Middle East, and in many parts of the world, there is a simple truth—there is no place for the weak. The weak are collapsing, slaughtered, erased from history, and the strong, for better or for worse, are the ones who survive. The strong are respected, the strong enter into alliances, and ultimately the strong make peace." 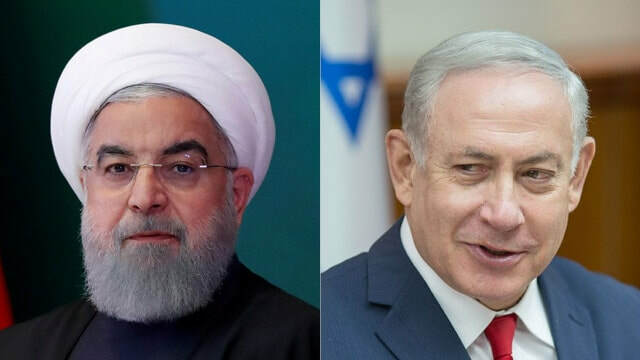 Netanyahu also referred to the agreement between Iran and Syria saying, "the IDF will continue acting with full determination and with full might against Iran's attempts to station forces and advanced weapons systems in Syria, and no agreement between Syria and Iran will deter us, nor will any threat frighten us." In addition, the prime minister addressed the Iranian presence in Syria: "We are working to prevent Iran's military entrenchment in Syria. We will not let go of this goal, just as we did not let go of the effort to bring about the cancellation of the nuclear deal with Iran, which was perceived as impossible when I first placed it on the international agenda a few years ago." Referring to Iran's Supreme Leader Ayatollah Ali Khamenei's comments about Iran's economic struggles, the prime minister said: "We will continue to apply pressure on the dangerous and extremist regime in Iran. Just yesterday we saw the outcome of this pressure in the words of the Iranian president, who said that many people in Iran have lost their faith in the country's future and its power because of renewed economic sanctions," he concluded. Israeli premier Benjamin Netanyahu said that Israel’s growing unofficial ties with major Arab countries reached an unprecedented and unexpected level. Netanyahu made his remarks at a ceremony held on Wednesday at the nuclear research facility in Dimona to rename the facility after former Israeli president Shimon Peres. to Israel’s discreet relations with Gulf Arab states that see Iran as a common foe. “In the Middle East, and in many parts of the world, there is a simple truth: there is no place for the weak. The weak are collapsing, slaughtered, erased from history; and the strong, for better or for worse, are the ones who survive. The strong are respected, the strong enter into alliances, and ultimately the strong make peace," he added. "Those who threaten to wipe us out, put themselves in a similar danger, and in any event will not achieve their goal," the prime minister said during a ceremony to rename the nuclear research center after the late Israeli statesman Shimon Peres. "Our enemies know very well what Israel is capable of, they know our policy, and anyone who tries to harm us—we will harm them," Netanyahu added.